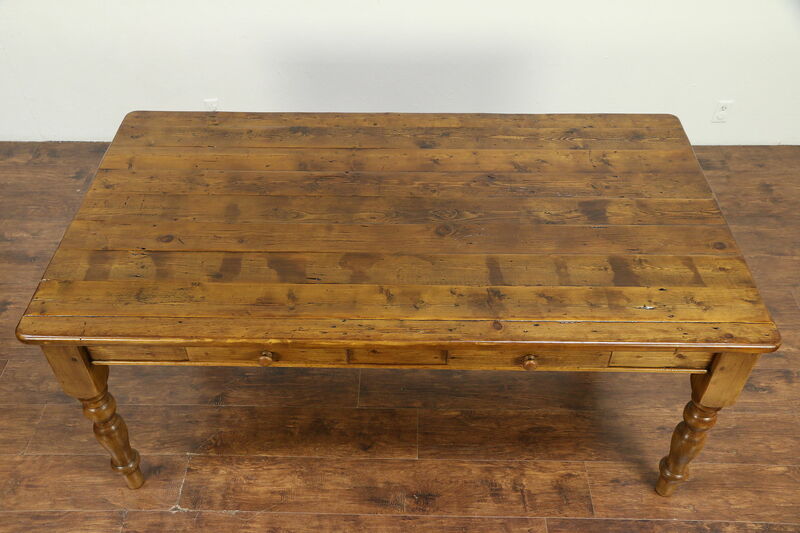 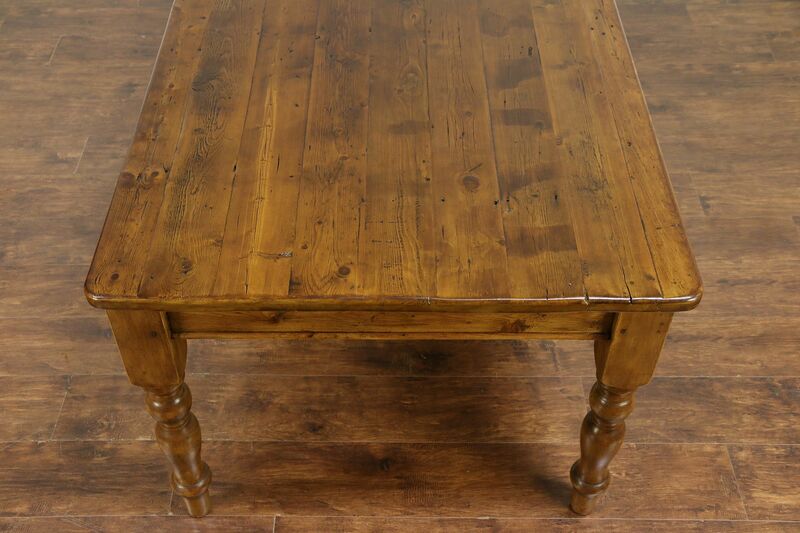 A country pine farmhouse "harvest" dining table was built about 25 years ago using century old salvage timber from a barn. 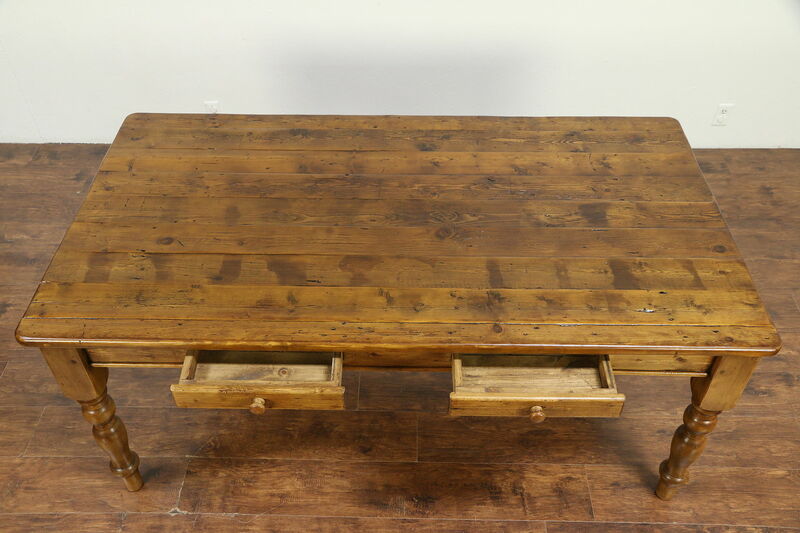 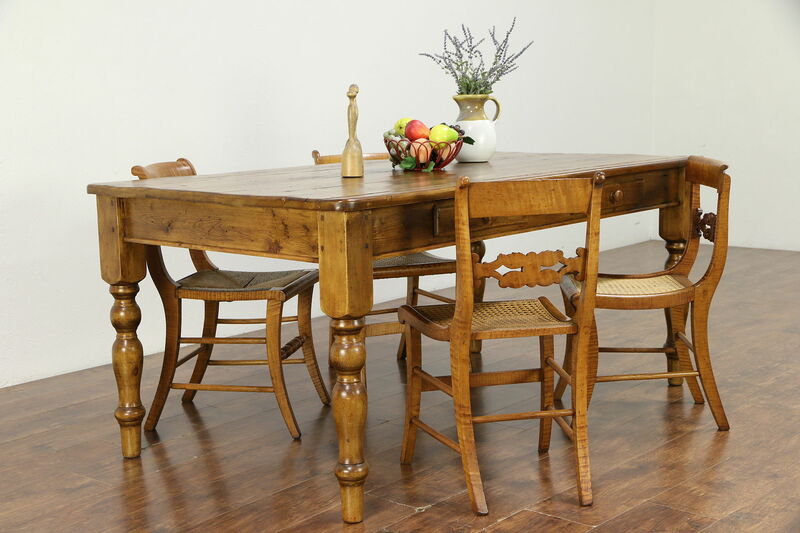 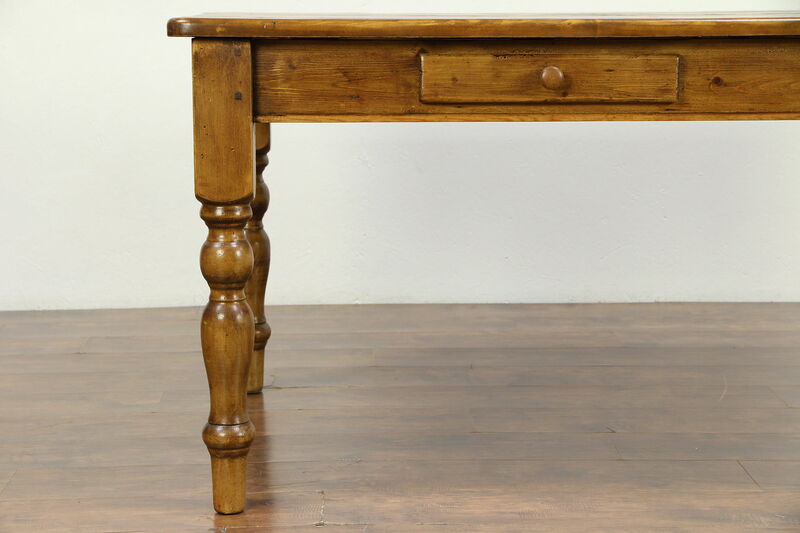 This charming primitive furniture could also function as a library table or desk. 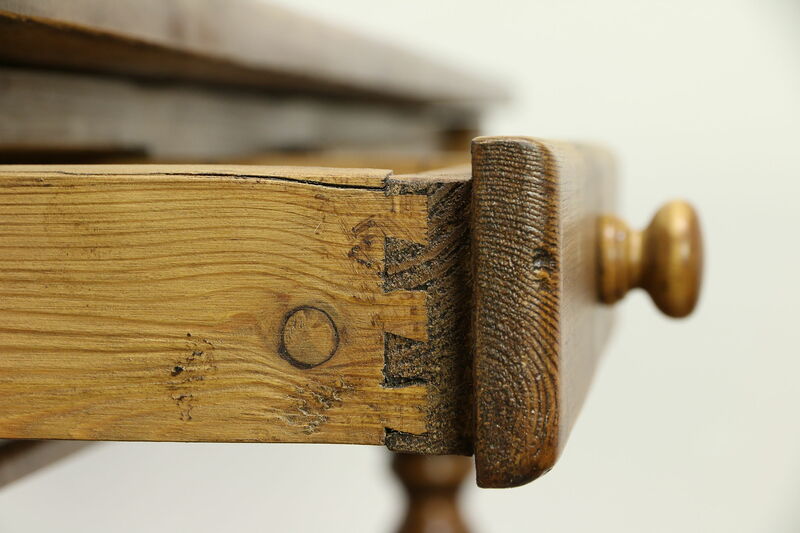 Joints have carved wooden pegs and there are two drawers with dovetail joints. 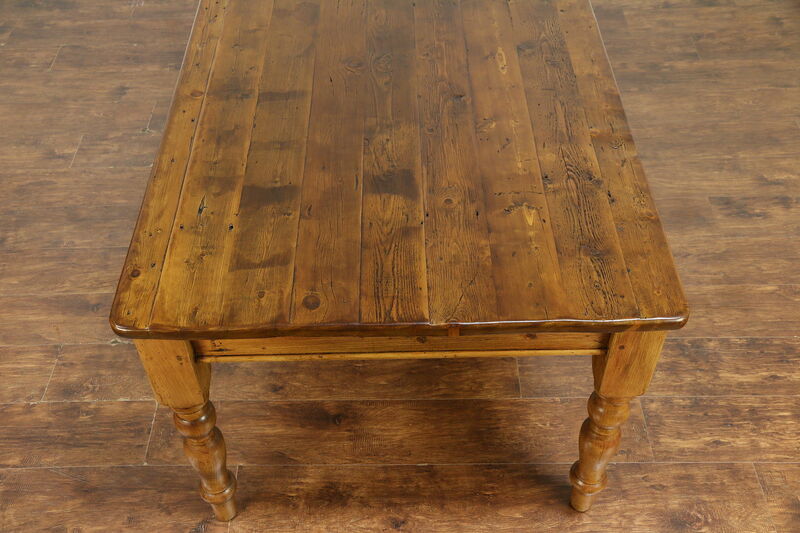 The restored finish is in excellent condition, preserving loads of old mars, holes and wear for antique character, see photos. 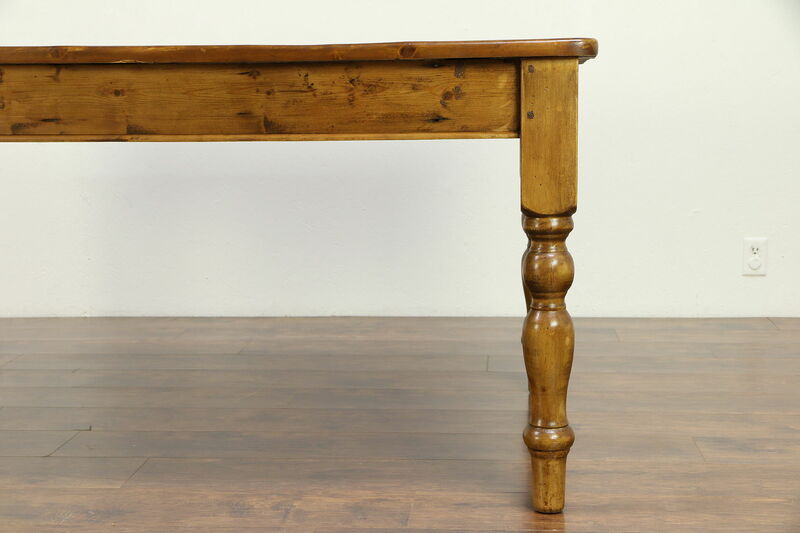 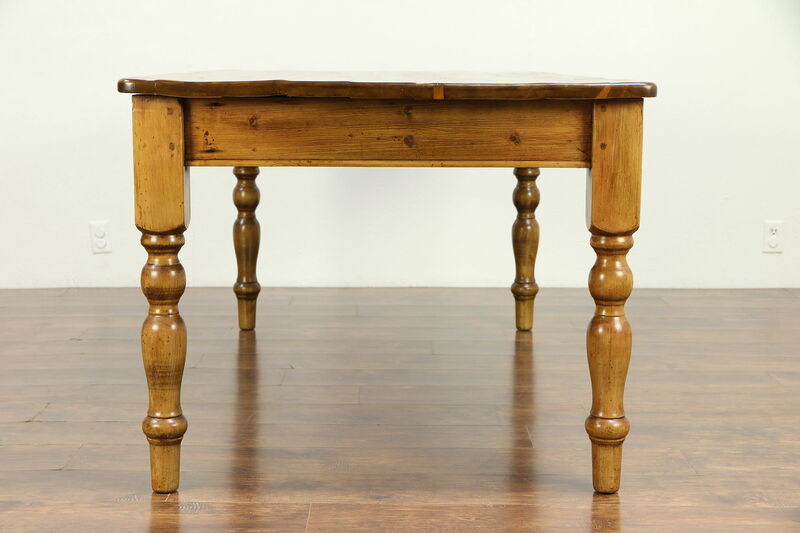 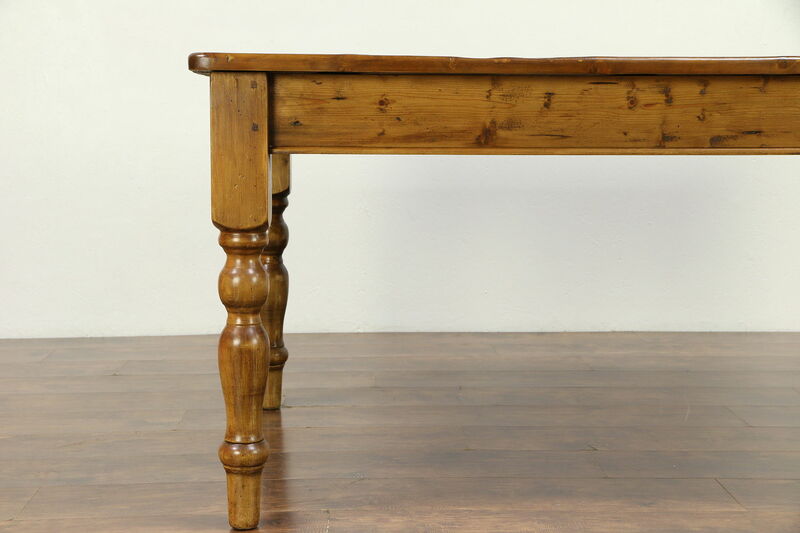 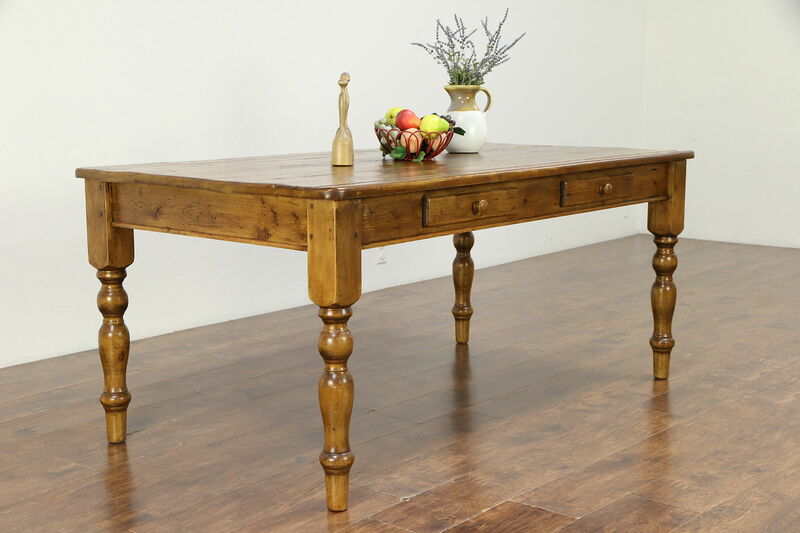 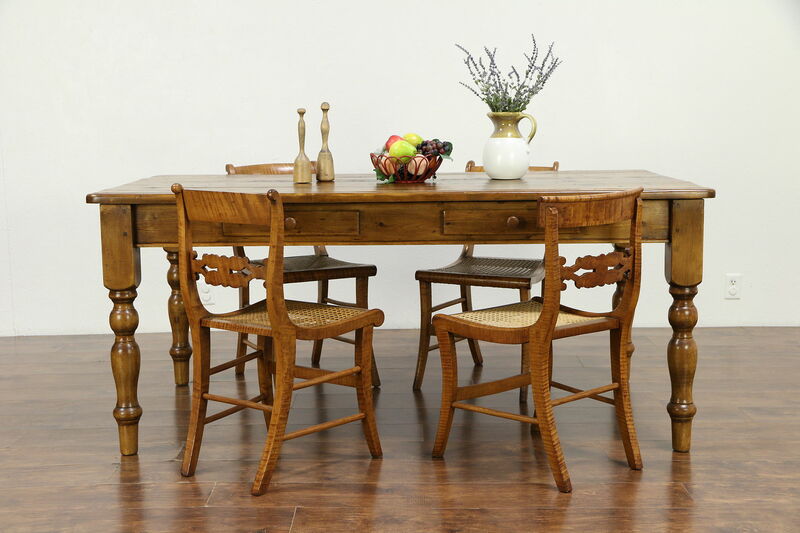 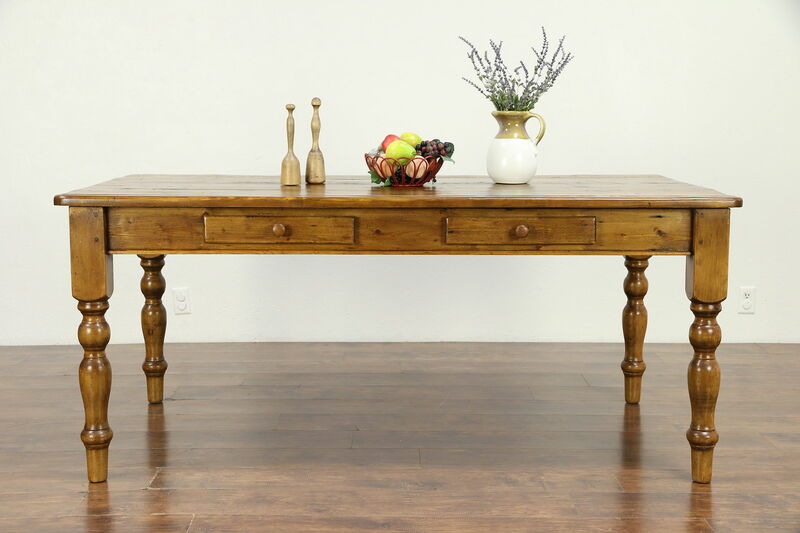 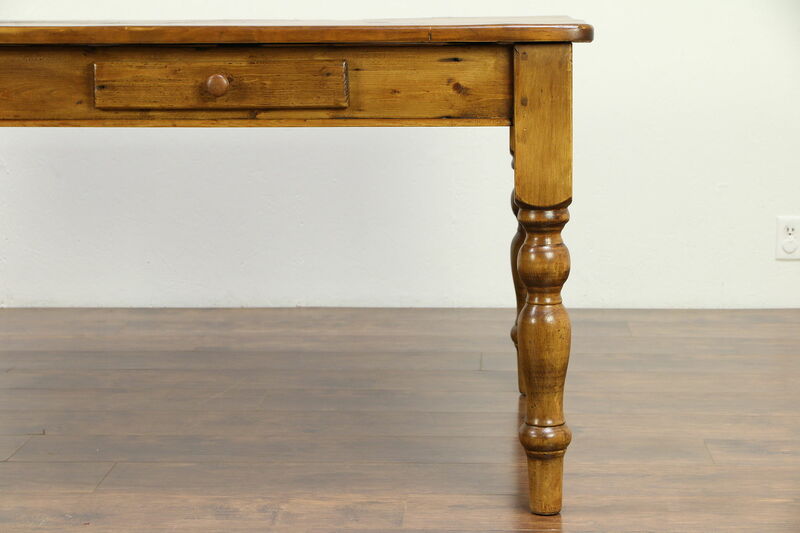 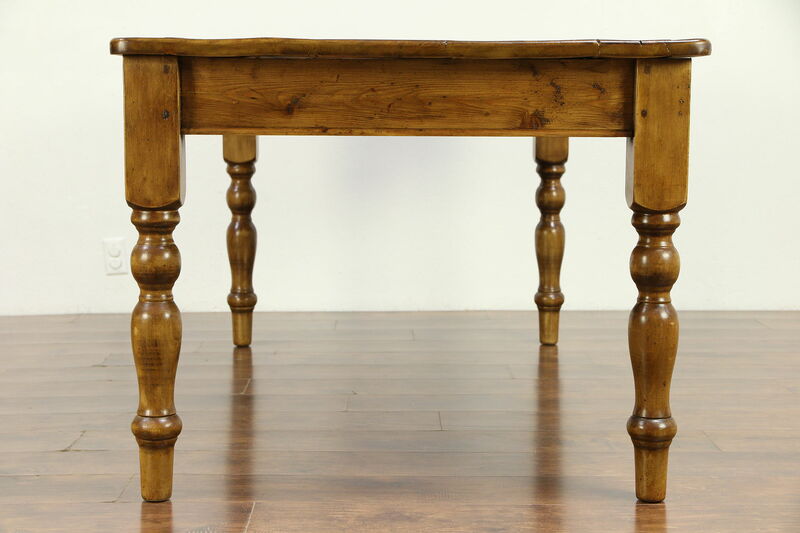 Turned legs are well proportioned on this American made table. 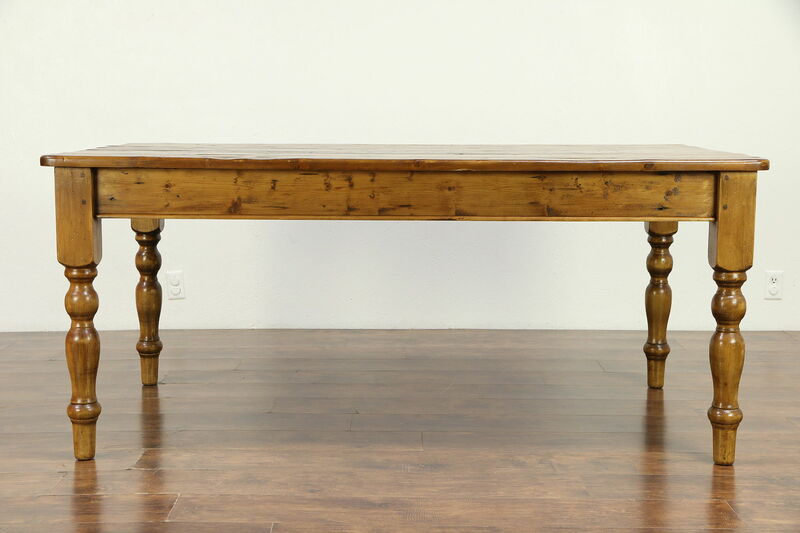 Measurements are 6' long, 39" wide, 31 1/2" tall and legroom is just over 25" underneath.